Officially called as the Republic of Namibia bordered by Angola, South Africa, Zambia and Botswana, this southern African country is packed with inland wonders. Namibia, which is surrounded by different wonders of nature including fascinating deserts and captivating landscapes, is home to various wildlife species and here lies the oldest desert in the world. This southern African country does not only offer breathtaking natural beauty, but it is also the largest producer of the highest quality diamonds. Situated south of Namibia, Fish River Canyon is one of the most visited places in the country and the largest canyon across the African continent and the world. This destination is said to have been formed million years ago and it is one of the most recommended hiking trails in Namibia. Fish River Canyon showcases beautifully breathtaking view of naturally formed canyons that are comparable to the Grand Canyon of the United States. Etosha National Park, which is one of the most important game reserves across the African continent that offers the most spectacular scenery of nature, is truly Namibia’s gem. This destination is found in the northwestern part of the country covering about 22,270 square kilometers. Etosha National Park is divergent to other African wildlife reserves and safari, as its uniqueness will surely captivate its audience. Famously known for the number of shipwrecks surrounding the vicinity of the island, the Skeleton Coast is also the former name of Namibia. This destination boasts of the Skeleton Coast National Park which covers most part of the coast and is home to different species of wildlife. Shipwrecks are the main attraction in Skeleton Coast and probably the most famous of them are the Dunedin Star; however, noticeably, there are also skeletons of animals along the shore like seals and whales. Dominant for its German colonial architectures and influence, Swakopmund is Namibia’s top holiday destination because of its perfect blend of colonial and safari features. Although this destination is the largest coastal town in Namibia, it lies within the Namib Desert which oddly complements each other. 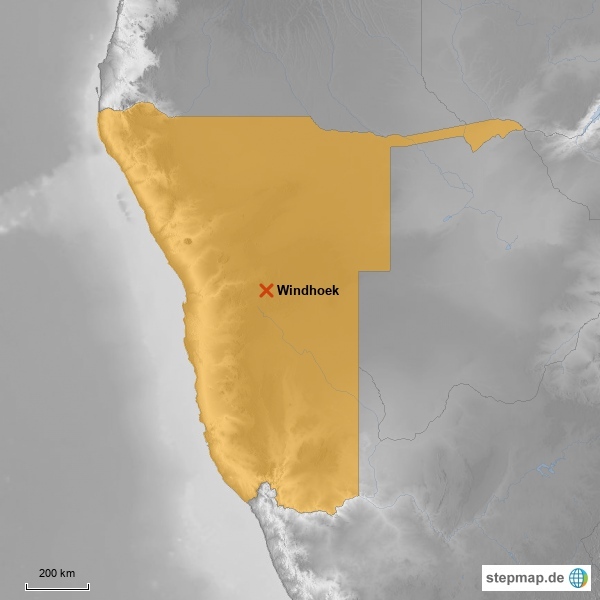 Swakopmund is inhabited by both German and Namibian people and they are both highly practicing German culture. Tourists should be able to enjoy an array of water and safari adventures here in the area. Found in the southern tip of the Namib Desert, Sossusvlei is one of the most visited tourist destinations in Namibia. Its name is translated as “dead-end marsh” - a mixture of Afrikaans and Nama language (vlei is Afrikaans for marsh while sossus is Nama for dead-end or no return). Sossusvleis is in the center of the Namib Desert which showcases one of nature’s masterpieces because of its scenic view. This destination is a salt and clay pan that was formed by the Tsauchab River over the years. Sossusvlei and Deadvlei are both highly recommended tourists’ spots found in the Namib Desert. Covering an approximate of 360,000 square miles, Kalahari Desert extends to three African countries - Botswana, South Africa and Namibia. Although most part of this so-called “thirst land” is found in Botswana, half of the desert covers huge portion of Namibia while the small parts are left to South Africa. This destination is where the world’s largest continuous stretch of sand dunes is found which is larger than that of the Sahara. The Kalahari Desert is not truly a desert as it literally means, because it gets rainfall every year, thus it is considered as a fossil desert instead. The capital and largest city of Namibia, Windhoek is the center of politics, economy, social and culture where almost all main government facilities are located. This destination showcases an ideal blend of German and Namibian colonial architecture and heritages. Some of the notable sites are the Alte Feste, National Gallery of Namibia and Christuskirche. Windhoek is a relaxing entry point before heading towards Namibia’s nature gems as the city is chic and walkable. The most well-known ghost towns probably across the continent are found in Namibia, Kolmanskop was also said to be the first diamond-field in the country. This destination was once a busy town with most German architectures, from houses to hospitals, ballrooms, schools, casinos, power stations and other structures. Kolmanskop was abandoned around 1950’s, and since then, only the sands occupies the area wherein houses and buildings are filled with knee-deep sands. Stretching around 280-miles along the Zambezi River, Caprivi Strip is where the famous rivers of Africa meet the Linyati, Zambezi, Chobe and Okavango. This destination is comprised of small villages and floodplains and is sparsely inhabited. Caprivi Strip is home to some wildlife animals such as hippos, waterbucks, crocodiles and buffalos. Furthermore, this famous tourist destination is where the critically endangered African wild dog lives. With an English translation of “pointed dome,” Spitzkoppe is one of the best and picturesque sceneries within the Namib Desert in Namibia. This destination is comprised of two mountains, the large and the little Spitzkoppe, while on the far west area lies the Pontok Mountain. This famous destination is also a perfect hiking and mountain climbing trail as there are beginners and pro ascents to try on. There are also a number of rock paintings that visitors can find in Spitzkoppe.